I'd like to say that back-to-school feeling is quickening the blood, but I never left school this summer. Nonetheless, cooler weather and lots to look forward to are doing the trick. Read on for details and images on all fronts! Kelly M. O'Brien, Playing With Fire No. 5 (custom crop). Wall covering. 150x300 cm | 59x118 inches. ©2018. I recently learned what is involved in blowing up an image of my work to cover an entire wall. Norwegian Cruise Line Jewel is being refurbished this fall and will install a custom crop of my piece Playing With Fire, No. 5 as a wall covering on a curved wall in the spa. The original piece of art is relatively small at 46 x 54.5 cm (18 x 21.5 in.). The wall covering will be approximately 1.5 x 3 meters (5 x 10 feet). Thanks to my talented and meticulous photographer, Zed Al-Gafoor at Image Centre, we were able to get a tack-sharp rendition of the artwork by shooting it in eight different layers and then marrying them together. The original artwork is looking for its forever home! Details and pricing here. 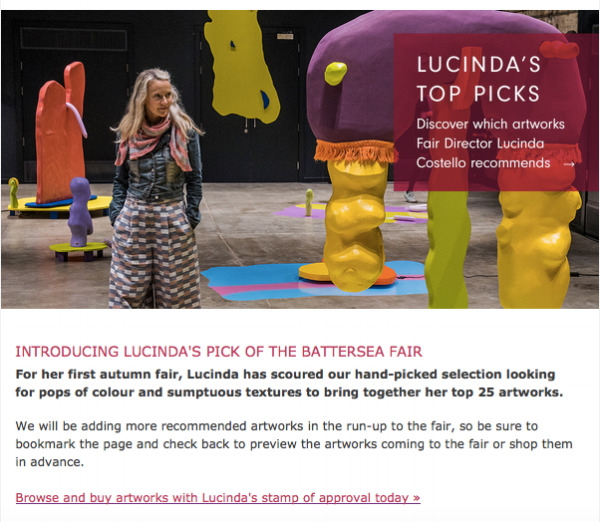 Affordable Art Fair Battersea London: Top 25 Pick! This fall Modern Art Buyer will introduce my Playing With Fire series at the Affordable Art Fair Battersea in London. We are already off to an auspicious start - my work has been selected by the new AAF curator as one of her Top 25 picks! If you're in the neighborhood, go see Modern Art Buyer's booth in person during the fair, 18 - 21 October. In the meantime, you can see my work in Bath at MAB's Autumn Pop-up Gallery, 3 - 16 September. Details for both events are at the end of this newsletter. 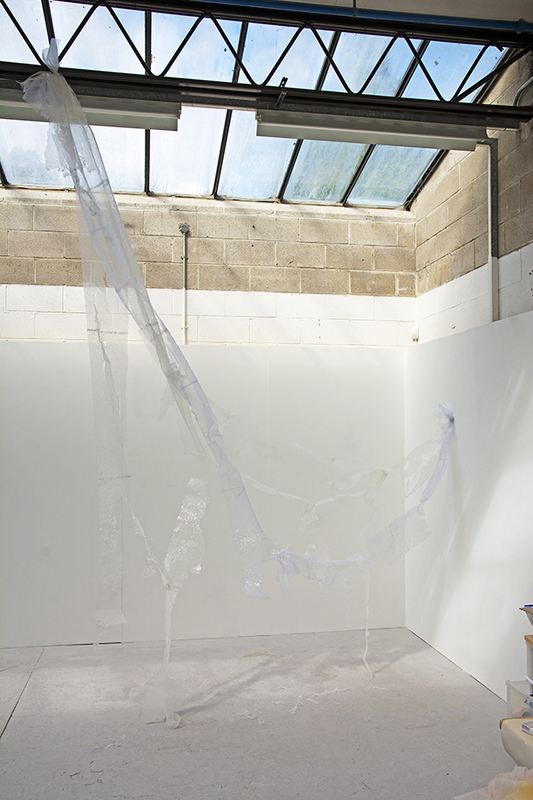 Wrapping up a fruitful summer in the spacious studios on Bath School of Art & Design's main campus, we have our sights set on the end of the term, project deadlines for 'assessment', and an exhibition to mark the end of Year 1. 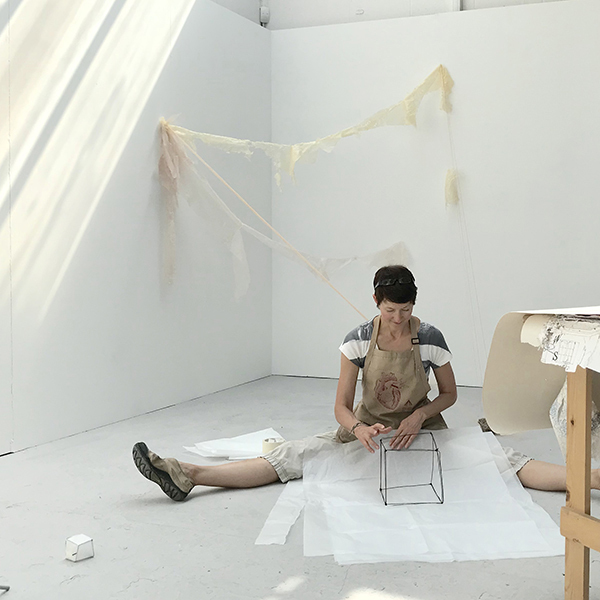 In preparation for social media about the Degree Show and our Year 1 Interim Show, some of us were interviewed about our emerging art practices. Read what I had to say and see more images of what I've been working on here. Kelly M. O'Brien, site visit research, The Cells Residency, Trowbridge Arts Center ©2018. In September, I'll be collaborating with artist Angel Greenham at Trowbridge Arts Center as part of her summer residency in The Cells. 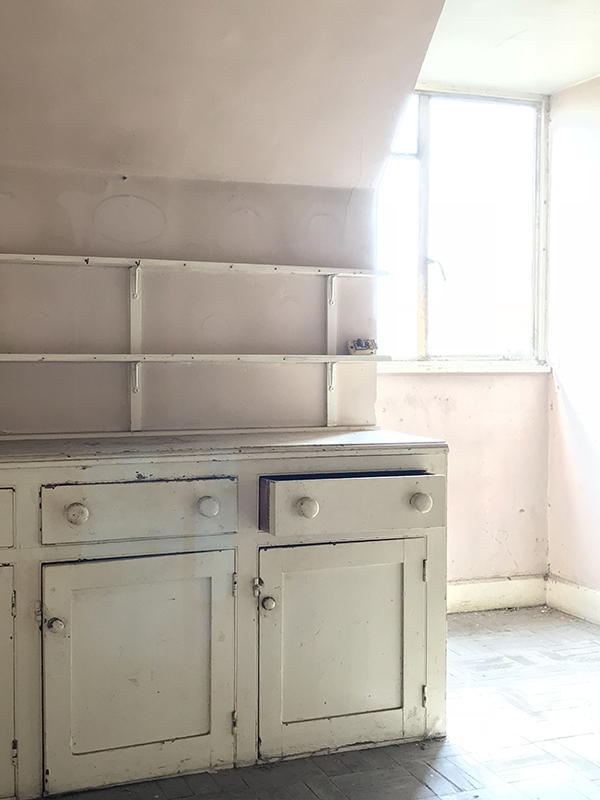 We did a site visit last week, exploring this Victorian-era building full of abandoned spaces, disused jail cells, and fascinating objects of that era. I can't wait to get in there and see what happens! Watch this space next month for the results of our collaboration. If you're in the neighborhood, we'll reveal our work in a brief exhibition at the end of my time there. Details are below.